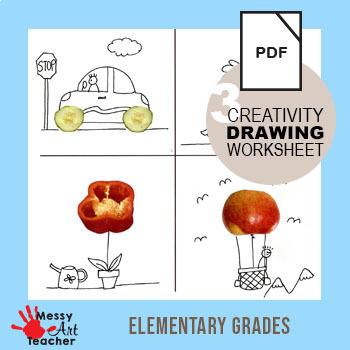 This is a worksheet that has students explore their creativity while using an everyday object in their drawing. 4 pages are included, with one being an example answer key. I highly recommend checking out the hash tag for more ideas. 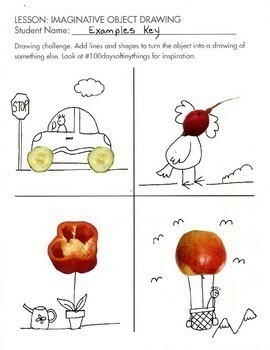 It is a fun way to enrich and get art students to look at things differently. This worksheet is the fruit/veggie edition. TIP: Remind students to turn their paper to get a different angle if they are having a hard time thinking of what to turn it into. 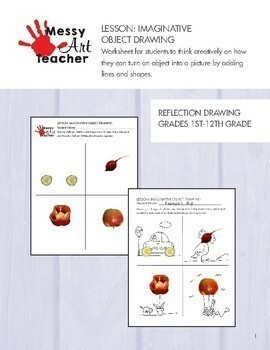 Here are my other individual creativity worksheets.